I have several rolls of your tape - what a fun product!! 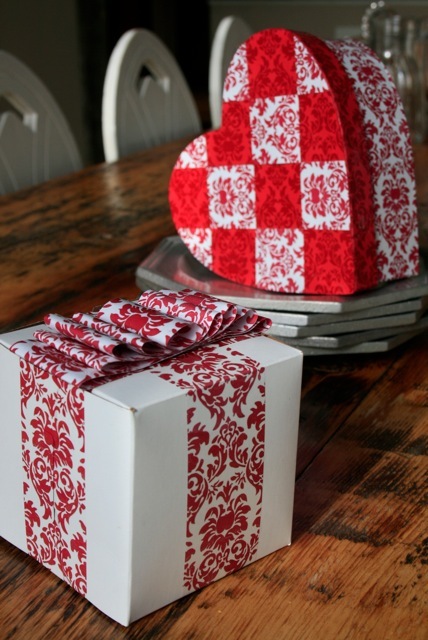 I am in love with this new red damask - so pretty!! Thanks for the chance to win! I like the big effect of the velvet tie ups on the boxes. They are simple yet maintains the elegance upon presentation.